When cops speak Spanglish to a non-English speaker | Jon Katz, P.C. Too many monolingual people seem to think that if they speak louder or repetitively that ultimately they will be understood by a person who does not speak the speaker’s language. Too many people think that if a person understands such phrases as "Do you speak English" or "Fire, fire" that this means the person speaks the tens of thousands of other words and phrases needed to have a sufficient command of the English language. Nothing beats struggling with learning a second language to understand how hard it is for others to learn English, including figuring out how to conjugate verbs in the past, present and future tenses, struggling to understand native speakers who talk a mile a minute, and memorizing and pronouncing a jumble of strange-sounding words. It seems that the vast majority of Americans stop studying another language once such study is no longer required for obtaining a degree or for strengthening a college application; yet plenty of the same people want to surmise that it is easy for others to learn English as a second language. When I have a non-English speaking client, I ordinarily arrange for a witness to come to court to testify about my client’s limited English, in order to challenge any assertion by the prosecutor that my client understood the English being spoken to him or her. Recently, I won a license suspension hearing related to a drunk driving charge, on the basis that Maryland’s convoluted and lengthy advice of rights form for taking the breathalyzer test was either not translated at all into Spanish, or that a Spanglish speaker struggled to tell my client the words on the advice of rights form. See below for further details on that hearing. In my experience, cops use a hit-or-miss approach to try to communicate with people who speak little to no English. Some police forces have some fully fluent people available to help, but then I argue that the absence of such interpreters’ court testimony makes the interpretation inadmissible hearsay evidence. Some judges let prosecutors get away with asking cops "Did he appear to understand you" and "Did he tell you he did not understand you or needed help interpreting your English?" Where I practice law, a huge percentage of native Spanish speakers come from countries where the cops constantly and often brutally trample on people’s rights, and do not serve the interests of ordinary people. (Hmm, that also describes too many cops in the United States.) Silence from people coming from such countries does not necessarily mean the English is understood, but instead can be a self-preservation technique. Being human, judges need to be educated about the nuances falling between the scale of a person who speaks fifty to five hundred English words in order to achieve basic survival on the one hand, and a person who arrives in the United States below the age of ten and soaks up English like a sponge. A huge percentage of people fall within the first half of that range of English-speaking ability. Moreover, most people are better able to speak a second language in an understandable fashion than to understand what is being said to them. People speak the words they understand, but the listener does not necessarily know all the words s/he hears in a second language. – At work, what language does your boss speak? – Have you formally studied English? Answer: No. My work eats up too much time to do that. – How much English to you know? Answer: Very little. – Where did you learn English? Answer: Mostly from television. – Have you known me since the time I first represented you around five years ago for a car accident case? – What language do you and I always speak in? Answer: Spanish. – Who spoke Spanish to you on the night of your arrest? Answer: Only a man who spoke over the phone to me in Spanish and English while I was at the police station. – Nobody spoke Spanish to you on the highway? Answer: No. – Did he say why he was not speaking only in Spanish? Answer: No. – How understandable was his Spanish? Answer: Only half understandable. – I am showing you the advice of rights form. Is that your signature? – Mr. U___, before your lawyer arrived, do you remember my calling out your name in the hallway and your responding in English "My lawyer is coming"? And, do you remember when I asked for your temporary license, you started removing it from your pocket before the interpreter translated what I said? I objected to any evidence or consideration of any events that took place outside the hearing room. That was overruled. I argued to the judge the huge difference between knowing such basic English survival words and phrases as those my client understood on the one hand, and the convoluted words and phrases in the advice of rights form. After I made my arguments, the judge proceeded to rule against me. About the advice of rights form, he said that the form is so convoluted and lengthy that plenty of inebriated people will not understand it, and plenty with basic intelligence will not understand it. The judge said that the form was interpreted to my client, and said that was that. Here is where I said to myself "Oh, sh_t. Think fast." So I said: "Oops, I messed up." This drew the judge’s interest. Have you ever noticed how much people want to help you when you say "I have a problem" or "I messed up" instead of saying "Will you come over here and help me"? I told the judge that I had missed sufficiently showing that the interpretation was in bad Spanglish. I underlined that any attempted translation of the advice of rights form was by an unknown person with unknown ability and qualifications in Spanish (other than that it was so poor that the speaker used plenty of English), and with unknown Spanish education. For all we know, maybe the Spanglish speaker grew up in a household with parents who spoke only a smattering of Spanish. I said that even if, for argument’s sake, a person does not have an absolute right to understand the advice of rights form, s/he has a right to have an advice form in a language the suspect understands. To do otherwise is a violation of the Equal Protection clause of the Constitution’s Fourteenth Amendment, and makes second class citizens out of those who do not speak English as a first language. Such arguments can be particularly effective in Maryland, where government officials generally want to be seen as inclusivists. I added that the government has the burden in this hearing, and presented nothing to overcome my evidence and arguments. After I presented more testimony at the judge’s invitation, the judge finally agreed that the government had not met its burden about language. He said he could have called the cop to see what the cop had to say about the Spanglish speaker, but was not going to. Besides, how would a monolingual cop know anything about the language qualifications of the anonymous Spanglish speaker? The judge said my client had testified credibly, and that his demeanor showed he did not comprehend most of the judge’s English. Of course, it would have been best for me to have presented all the foregoing arguments before the judge first ruled. On the other hand, the main thrust of my further arguments was to counter the judge’s original mis-recollection that the phone Spanglish speaker somehow had spoken only in Spanish. In criminal court, often the defendant will assert his or her Constitutional right to remain silent. The defense lawyer can always try to convince the judge to let the defendant testify only about language comprehension matters and nothing more, but language comprehension issues ordinarily will be intertwined with other material issues. 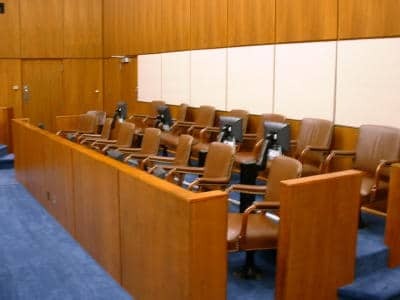 In Virginia, the caselaw says that once a defendant takes the witness stand at trial, s/he is fair game for cross-examination questions beyond the scope of direct examination. In any event, we need to start outside the courtroom to educate judges, prosecutors, juror, cops, and everyone else about comprehension issues for those who speak English as a second language. It can start with responding effectively, rather than with silence, when a cop, prosecutor, or judge laughs or makes a snide out-of-court remark about a person’s "foreign" accent or ability to understand English. Jon Katz.